Stray kitten Maxwell is no stranger to adventure. But, the daring feline recently learnt that they don’t always go to plan. Maxwell (aka Maxwell Smart) was on a mission. Whether he was searching for food, warmth or company, we’ll never know. 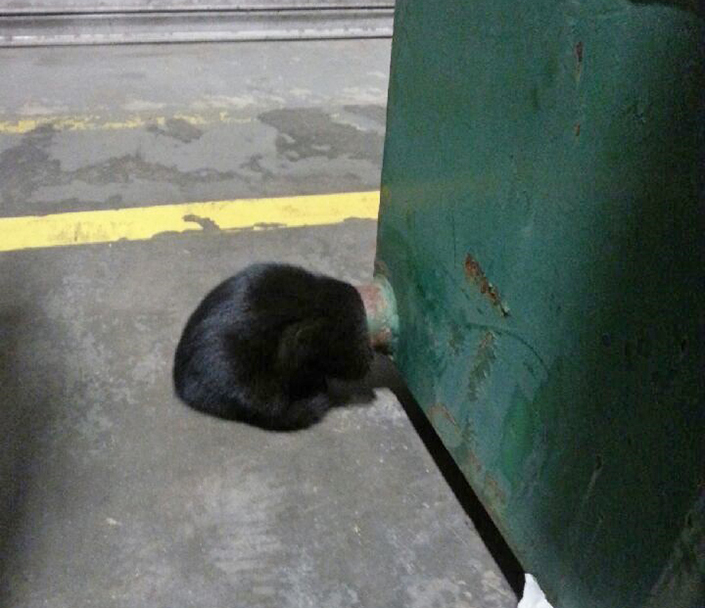 But his mission came to an abrupt halt when his head got stuck in the drainpipe of a dumpster. Maxwell caught the attention of builders who were working on the construction site where he became stuck, and luckily so. With no food or water, and no escape from the winter elements, the little kitten wouldn’t have survived for long. Unfortunately the builders weren’t able to free Maxwell. But, our ambulance team was called on to help. In a delicate rescue effort, our ambulance driver comforted Maxwell while she carefully and gently freed his head from the drainpipe. Fortunately, the only injury he suffered was to his pride. With this escapade behind him, Maxwell is ready to begin his next mission; finding a loving family to keep warm all winter long. He’s one of many felines (aka Purr Agents) available for adoption at the Home, all of whom are expert lap-warmers and snuggle buddies. 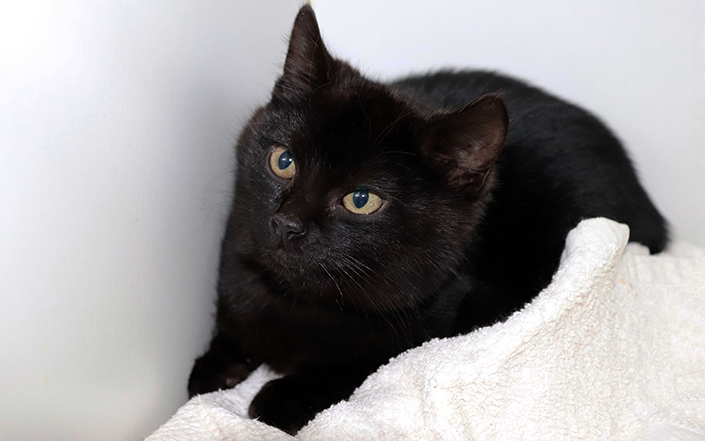 Until 31 July, it’s half-price to adopt a kitten like Maxwell and there’s no fee to adopt an adult cat. The Purr Agent Headquarters (i.e. our cat adoptions centre) is open until 9.00pm tonight. Your Purr Agent is waiting, and the mission starts with you today!